Welcome to the Academy of Self-Defense!!! Whether you are 3 or 93, we want to invite you to take a step towards creating a better life for yourself and your loved ones. Want to learn self-defense and gain the confidence to protect yourself and others? Karate can do that! Do your kids need to learn some self-control and become more focused and disciplined - both at school and at home? Karate can do that! Looking to increase your physical fitness and mental awareness? Karate can do that! Looking for an all around full-body workout with the side benefits of increasing stamina, cardio, flexibility and strength? Karate can do that! 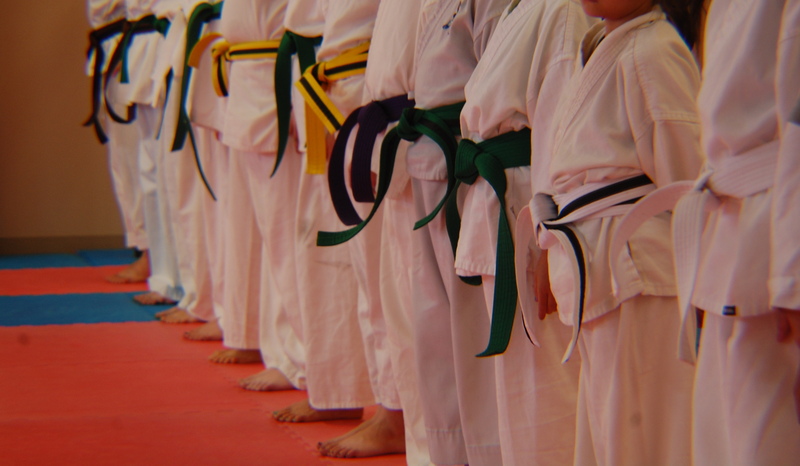 No matter what brings you to our karate school, we are here to help you meet your goals. Love for the martial arts and a desire to see both kids and adults alike better themselves and their lives. I began training in the martial arts as a young child with my brothers. Even as a young boy, I remember knowing that I was going to feel better about myself and my situation after class. Martial arts has helped make me into the person I am today. I've trained in a lot of schools, or dojos, and I've taken my experiences and tried to create an atmosphere that serves the needs of the students and the observers. We have a family-oriented atmosphere and have done everything possible to make it easy for families, and multiple siblings to train at the school at the same time. We have age appropriate classes running simultaneously to help mom and dad minimize their wait times, and have provided a very comfortable environment for them to use. Parents also have the option to train with their children. I look forward to getting to know each one of you as we walk this road together.